A chilly north easterly piping across Chichester Harbour all weekend put the RS Aeros to the test and the reward was some great sailing and invigorating clear blue skies by Sunday. 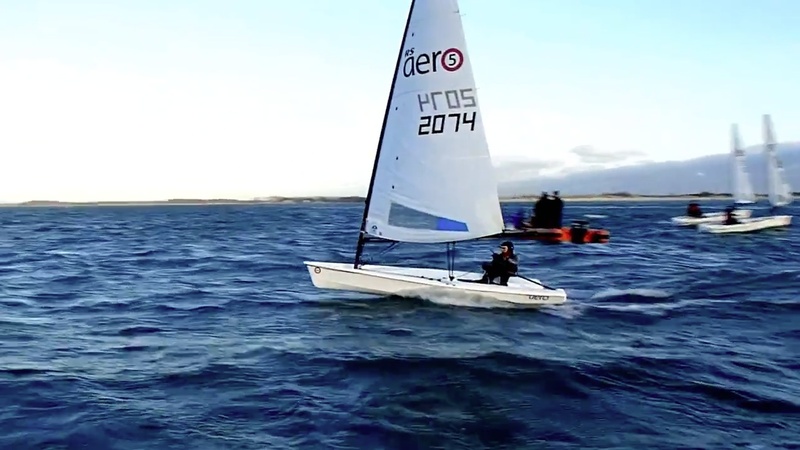 20 RS Aeros signed up for Hayling Island, the second of the series of six winter training weekends around the UK. The entry list was closed early in the week to ensure that the weekend remained well resourced and able to offer excellent coaching. None the less, 20 RS Aeros is a class record for winter coaching with class turnouts remaining buoyant after a busy autumn. 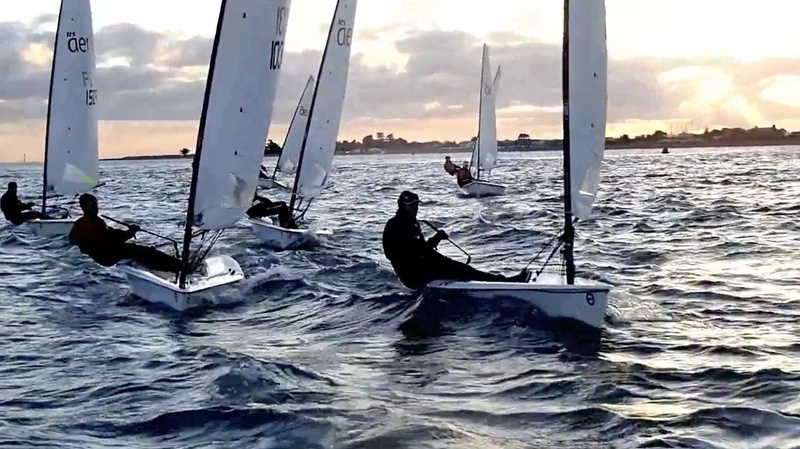 Sailors travelled from as far a field as Yorkshire in the north and internationally from Germany with Peter Gahken of Munich flying in for praining (pre-training training) at Lymington on Friday to benefit from the milder conditions (?!) and large fleets. The focus of the weekend was speed, waves, tides and ultimately starting. 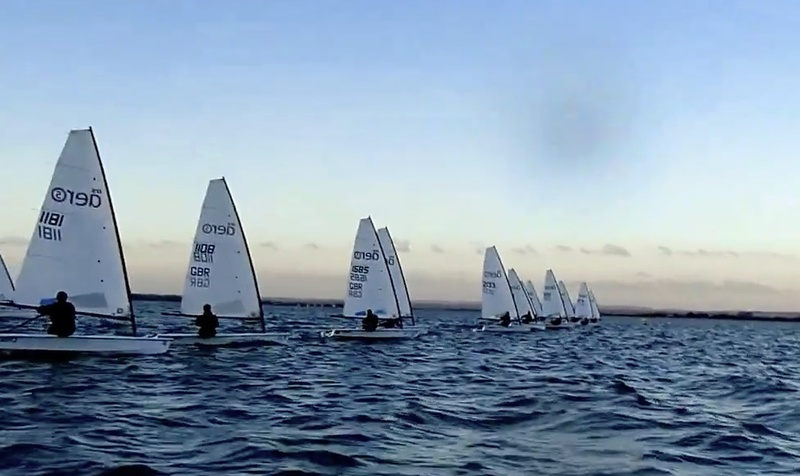 A spread of abilities and goals between some sailors preparing for next years Worlds and other Championships to local sailors who are looking to gain more familiarity and capability with the new boat. Thus, we started with a classroom session in the warmth of Hayling’s lovely member’s bar discussing some theory for all. Then we stepped outside to run through some rigging, tuning and techniques around an RS Aero, specifically for those newer to the boat. Our first sailing area just to the south of the Winner Bank at the top of the tide found some waves even in the offshore winds. They were somewhat confused however providing an unusual but valid challenge. Chichester harbour is a great place to focus on tides and over the weekend it was possible to find a range of directions and angles across a course to test the sailors. Exhausted but hopefully full of new ideas and experience we concluded in the club house with final debrief and some endeavour awards courtesy of ‘Speed SIX’, the environmentally friendly water sport polish and lubricant. We probably ought to have presented the woolly hats at the start of the weekend! 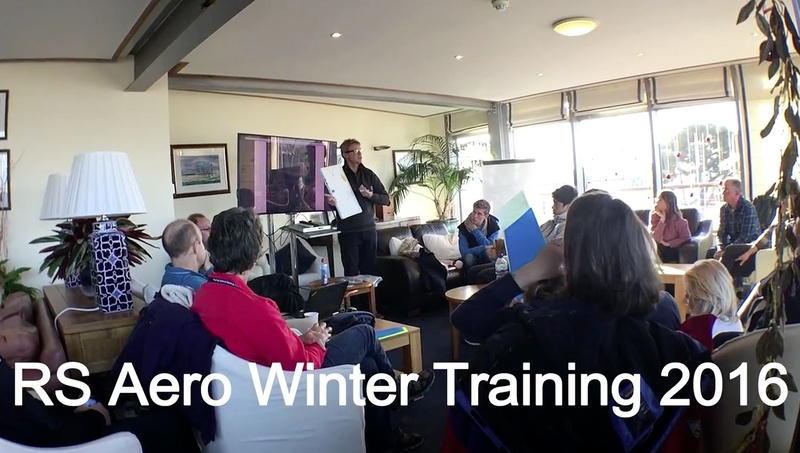 The next RS Aero UK Winter Training weekend is in the east at Alton Water on 28/29th January. Meanwhile the RS Aero Winter series kicks of over Christmas with Yorkshire Dales’s Brass Monkey on the 27th December followed by the Grafham Grand Prix on the 2nd and the world famous Bloody Mary at Queen Mary on the 7th. Full details of all are on the class’ UK Events Page. Full LW Media photo album HERE, thanks Liam! A photo gallery with training tips can be found on the class Facebook group HERE.